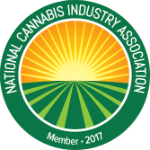 Created to provide helpful information about the North Dakota Cannabis Industry. Dispensary means an entity registered by the North Dakota Department of Health as a compassion center authorized to dispense usable marijuana to a registered qualifying patient and a registered designated caregiver. How can I obtain a North Dakota Compassion Center License? Applications and application windows are yet to be released by the state. They will be released by the Department of Health, at which point information here will be updated. How do I become a registered compassion center? The Department of Health will establish open application periods for potential compassion centers to submit required information. NDCC Section 19-24.1-14 includes information on applications. Applicants are required to obtain certain approval from local officials prior to submitting an application to the Department. A draft manufacturing facility application is available for viewing at: http://www.ndhealth.gov/MM/PDF/Draft_Manufacturing_App.pdf. 7. When will there be an open application period? The open application period for manufacturing facilities is from March 16 to April 19. Application materials can be viewed at: www.ndhealth.gov/MM/. What are the fees for becoming a registered compassion center? A nonrefundable application fee of $5,000 is required to be submitted with an application. $110,000 certification fee for a manufacturing facility registration every two years. $90,000 certification fee for a dispensary registration every two years. Pesticides are not allowed to be used in the cultivation of useable marijuana. Compassion Centers must not be within 1000 ft. of a school. Monthly inventory audits and tracking systems will be required. During a 30 day period, a registered dispensary can dispense up to 2.5 ounces of dried leaves and flowers (if authorized by the patient’s health care provider) and 2000 mg total THC of other products to registered qualifying patients. A manufacturing facility may only sell usable marijuana to a dispensary. A dispensary may dispense usable marijuana to a registered qualifying patient or registered designated caregiver. For detailed information, check out the North Dakota Century Code Chapter 19-24.1 and North Dakota Administrative Code Chapter 33-44-01. What kind of point-of-sale do I need to operate a Compassion Center? Manufacturing facility means an entity registered by the North Dakota Department of Health as a compassion center authorized to produce and process and to sell usable marijuana to a registered dispensary. Qualifying patient means an individual who has been diagnosed by a health care provider as having a debilitating medical condition. Designated caregiver means an individual who agrees to manage the well-being of a registered qualifying patient with respect to the patient’s medical use of marijuana. Designated caregivers can care for up to five qualifying patients. How can I obtain a North Dakota Medical Marijuana Card? According to the department’s Most Recent Status Update, patient and caregiver applications are accepted, but that is after the dispensary application period opens and dispensaries are selected with neither action receiving a green check mark indicating completion by the department. Patients must receive a written certification from their health care provider to apply for and be issued a registry identification card if they have one of the debilitating medical conditions listed below. You will need to provide the following information in your medical marijuana application. Does my medical condition qualify for a Medical Marijuana recommendation in North Dakota? How do I become a designated Caregiver in North Dakota? For detailed info on North Dakota’s Compassionate Care Act, click here. North Dakota’s Medical Marijuana Program will be operated by the state’s Department of Health. You can see the full set of rules and regulations within the Compassionate Care Act here. For the latest cannabis-related legislative updates on North Dakota, check out our Cannabis Bill Tracker! BioTrackTHC software solutions impact the following regulations, to review the rules and regulations in their entirety, please click here. 33-44-01-08. Compassion center inventory limits. Not be used in the production and processing of usable marijuana that is sold to a dispensary for patient consumption. A dispensary shall not possess more than three thousand five hundred ounces (99.22 kilograms) of usable marijuana at any time, regardless of formulation. Each compassion center must establish a procedure for issuing voluntary and mandatory recalls for usable marijuana. Defective or potentially defective usable marijuana. Usable marijuana that has failed laboratory testing in accordance with these rules. Reasonable probability that use of the usable marijuana or exposure to the usable marijuana will cause serious adverse health consequences. Any other instances as determined by the department that would warrant a recall. The compassion center agents who are responsible for overseeing the recall. The procedures for notifying everyone affected by a recall including registered qualifying patients, registered designated caregivers, and other compassion centers. Instructions for registered qualifying patients, registered designated caregivers, and other compassion centers, regarding proper product handling of any recalled usable marijuana. A dispensary shall maintain a list of registered qualifying patients and registered designated caregivers and current contact information to provide notice in the event of a recall. The department shall maintain a computer information system(s) for inventory control and registry identification card verification. A compassion center inventory control system shall interface with the computer information system maintained by the department. All costs associated with interfacing are the responsibility of the compassion center. If the compassion center’s inventory control system does not adequately, as determined by the department, interface with the computer information system maintained by the department, the department may require the compassion center to use the system maintained by the department. Conduct an initial inventory of all marijuana and usable marijuana at the compassion center. If a compassion center commences business with no marijuana or usable marijuana, the compassion center shall record the initial inventory as zero. After the initial inventory, a compassion center shall conduct an inventory of marijuana and usable marijuana once a week for a period of at least six months, and upon department approval, at least monthly thereafter. Conduct each inventory in a manner that includes two individuals. One of the two individuals may not be involved in the production and processing of marijuana, the dispensing of usable marijuana, or the preparation of the compassion center financial records. One of the two individuals shall be a supervisor or manager. The name, signature, and title of the individuals who conducted the inventory and an attestation by both individuals as to the accuracy of the inventory. Reduce the size of the required information to six point font. All usable marijuana delivered to a dispensary from a manufacturing facility shall meet the labeling requirements in section 33-44-01-26. The registered qualifying patient’s name and department issued registry identification card number. The registered designated caregiver’s name and department issued registry identification card number, if applicable. The name of the dispensary. Reduce the size of the required information to six-point font. Any compassion center or laboratory transporting marijuana, usable marijuana, or medical marijuana waste must use a manifest system, approved by the department, to track transportation. The manifest must be in a vehicle transporting marijuana, usable marijuana, or medical marijuana waste. The manifest must be provided to law enforcement upon request. (1) The name and address of the destination. (2) The description of each individual container that is part of the shipment and the total number of individual containers. (3) The date and time the shipment is placed into the transport vehicle. (4) The date and time the shipment is accepted at the delivery destination. (5) The person’s identity, and the circumstances, duration, and disposition of any other person who had custody or control of the shipment. (6) Any handling or storage instructions. (1) Complete a manifest on a form approved by the department. (2) Transmit a copy of the manifest to the receiving entity or individual. (1) A compassion center agent or laboratory agent upon departure. (2) A compassion center agent, laboratory agent, an employee of a waste facility, registered qualifying patient, or registered designated caregiver upon its receipt. (1) Verify and document the type and quantity of the transported marijuana, usable marijuana, or medical marijuana waste, against the manifest. (2) Return a copy of the signed manifest to the originating entity upon completion. A compassion center must also record the marijuana or usable marijuana that is received as inventory in accordance with section 33-44-01-20. A compassion center or laboratory must maintain all manifests for at least seven years and make them available upon request by the department. Transported so it is not visible or recognizable from outside the vehicle. Transported in a vehicle that does not bear any markings to indicate that the vehicle contains marijuana, usable marijuana, or medical marijuana waste, or bear the name or logo of the compassion center or laboratory. Transported in an enclosed, locked storage compartment that is secured, or affixed, to the vehicle. Travel directly to the designation specified on the manifest. (4) All activities of compassion center agents or laboratory agents exiting the vehicle. If an emergency requires stopping the vehicle, the compassion center agent or laboratory agent must contact 911. Under no circumstances may any person other than the designated compassion center agent or laboratory agent have physical control of the motor vehicle that is transporting the marijuana, usable marijuana, or medical marijuana waste. A compassion center must staff all motor vehicles with a minimum of two compassion center agents when transporting usable marijuana between compassion centers. At least one agent must remain with the motor vehicle at all times when the motor vehicle contains usable marijuana. A single compassion center agent may transport medical marijuana waste between compassion centers or to a waste facility. A single dispensary agent may transport usable marijuana to a registered qualifying patient or registered designated caregiver. A single laboratory agent may transport marijuana, usable marijuana, or medical marijuana waste to its laboratory, to a manufacturing facility, or to a waste facility. Each compassion center agent or laboratory agent in a transport motor vehicle must have communication access with the compassion center or laboratory and have the ability to contact law enforcement through the 911 emergency system. A compassion center agent or laboratory agent must carry their registry identification card at all times when transporting marijuana, usable marijuana, or medical marijuana waste. A compassion center agent or laboratory agent shall not leave a vehicle that is transporting marijuana, usable marijuana, or medical marijuana waste unattended overnight. 33-44-01-31. Compassion center inspections and compliance. The department, or a department designee, shall conduct inspections of compassion centers to ensure compliance with North Dakota Century Code chapter 19-24.1 and these rules. Compassion centers shall receive the results of an inspection in writing. Issues of noncompliance and concerns about the continued operation of the compassion may result in a plan of correction, suspension, or revocation of a registry identification card or registration certificate. Data related to usable marijuana dispensed for registered qualifying patient use shall be submitted to the North Dakota prescription drug monitoring program. The department will submit the data to the prescription drug monitoring program. A manufacturing facility must have all usable marijuana tested in accordance with sections 33-44-01-42, 33-44-01-43, and 33-44-01-44 by a laboratory selected by the department as described in section 33-44-01-36. The manufacturing facility shall pay all costs of testing usable marijuana in accordance with these rules. A manufacturing facility may not transfer usable marijuana to a dispensary until it is tested and passes compliance testing in accordance with these rules. A dispensary may not accept usable marijuana from a manufacturing facility unless it is tested and passes compliance testing in accordance with these rules. Identification of the test or tests the manufacturing facility is requesting the laboratory to conduct. It is the responsibility of the manufacturing facility to order the tests necessary to comply with North Dakota Century Code chapter 19-24.1 and these rules. 33-44-01-42. Compliance testing requirements for dried leaves and flowers. A manufacturing facility must have every batch from a harvest lot of dried leaves and flowers tested for pesticides and degradation compounds in accordance with section 33-44-01-47. Microbiological contaminants and mycotoxins in accordance with section 33-44-01-48. Concentration in accordance with section 33-44-01-51. 33-44-01-43. Compliance testing requirements for cannabinoid concentrates. Pesticides and degradation compounds in accordance with section 33-44-01-47. Solvents in accordance with section 33-44-01-49. A cannabinoid concentrate shall not be used in processing a medical cannabinoid product unless the requirements of testing in subsection 2 of this section have been met. A manufacturing facility is exempt from testing for solvents under this section if the manufacturing facility did not use any solvent. 33-44-01-44. Compliance testing requirements for medical cannabinoid products. 33-44-01-45. Batch requirements for compliance testing. For compliance testing of dried leaves and flowers, a manufacturing facility must separate each harvest lot into no larger than 10 pound batches. For compliance testing of cannabinoid concentrates, a process lot is considered a batch. For compliance testing of medical cannabinoid products, a manufacturing facility must separate process lots into not larger than 5,000 unit of sale batches. Included on the batch label as required in section 33-44-01-46. A manufacturing facility may not reuse a unique batch number. 33-44-01-46. Manufacturing facility requirements for labeling, storing, and securing usable marijuana batches. The date the samples were taken. Store and secure the batch in a manner that prevents the product from being tampered with or transferred prior to required tests being completed. Be able to easily locate a batch stored and secured under subsection 2 of this section and provide that location to the department or a laboratory upon request. NORTH DAKOTA SUCCESS STARTS WITH CONTACTING US! A BioTrackTHC representative can help you put together an exceptional cannabis business license application. Our team already knows the in’s and out’s of North Dakota’s Medical Marijuana Program, so let us do the hard work and help you create an application that will stand out.